We guarantee competitive pricing for all tendered projects. 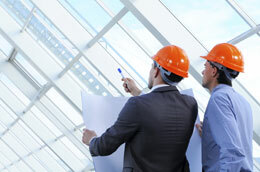 All addendas, electronic files and change notices are recorded for each project. Future tendered jobs may be forwarded to rfq@conveniencegroup.com for immediate consideration. Our installation team has lifting equipment and full safety and security clearances. We provide all Ontario Building Code (OBC) requirements for interior full height glazing systems. With over 45 years' experience in the glass film industry, the Convenience Group can help you accomplish your glass coating and window film objectives.